I recently picked up a friend from the hospital. She had been on the road to recovery for anxiety and depression, but her medications had decided to take a different road and frolic free, causing hallucinations. The-authorities-that-be, however, did not admit her for hallucinating. No-no. What had been the criteria for admittance was that along with the hallucinations, she had thought of death. Never mind the pesky voices and things floating in the air, thoughts of deaths were the real emergency. Even with her therapist on the phone saying there was no need for a hospital stay, she was confined to the “funny” ward for three days. I’ve been down that road—the depression road—and I must say that I never want to go down that path again, even if the experience taught me some of the most important life lessons such as learning to love oneself and understanding that our job is not our identity. Depression is a hard teacher like failure, divorce, and disaster, but unlike these where one event arrives, strikes, and leaves a trail. Depression is like a bad roommate—a caustic character you have to continually monitor, so that he doesn’t steal the things most precious to you right out from under your nose. We dropped off the prescription and walked a good many blocks for the cake. 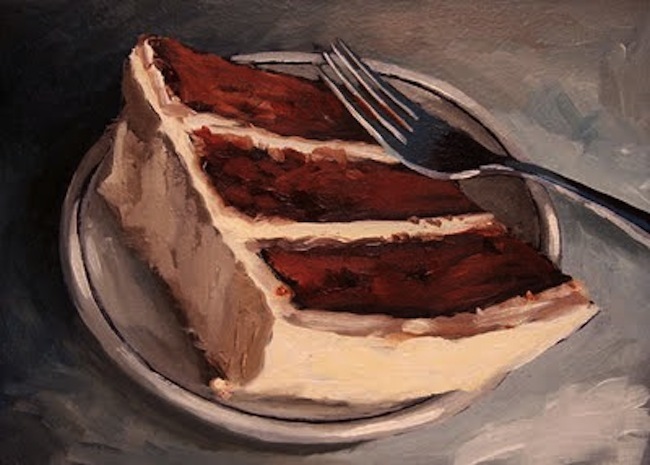 She only had one cake in mind from her favorite eatery in the East Village—peanut butter and chocolate mousse. Only this cake would fit the bill. We tucked ourselves into a table, and after procuring forks and napkins, she draped herself over the cake and dug in. It was comforting and tasty and made the world right-side up again. She ate it slowly, savoring it. I tasted it too, giving it my thumbs up. She took the time to call family members, letting them know she was fine. Thoughts of my own battles flooded my brain. Once when I was in the worst of it, I had refused to come out of my kitchen, and all I wanted was to eat chips and salsa and drink red wine. I brought my attention back to my friend. She looked brighter. When enough cake was down the hatch, we headed back to the pharmacy. The pharmacy was backed up, so we had to wait a while. I took a seat by the pick-up window and looked around at the ridiculous advertising hung at the ends of the aisles. They all seemed poised and ready to fling products at me any minute. “You NEED this!” they screamed. “NEED!” I ignored them and fiddled with my phone. I didn’t mind the wait. This was not a day about time. This was a day about relationships. I checked on my friend, waiting in line. “I want chips, too,” she said. We don’t need to be under a doctor’s care to need a “medicine meal.” There were many times when I sought shelter from a rough and horrible day with a fork in hand. A year ago, my husband and I had a record-breaking bad day, and with tears in our eyes walking down the street, I said, “Let’s eat. We need comfort food.” He hugged me in agreement. Our dinner began with hot milk, went through several courses of delicious fare, and ended with apple pie and pistachio gelato. 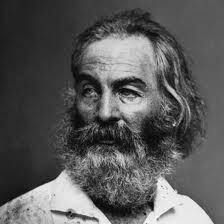 Soon we relaxed, let the day go; found our footing. It was a medicine meal. When my grandfather passed away, my husband brought me spicy Mexican food. I sat at our table stuffing myself with one hot, jalapeño-infused morsel after another. The oil from the peppers burned my lips and fingers as I wiped my salty, teary face. Another medicine meal. When I was exhausted from being displaced from Hurricane Sandy and spending the holidays away from anything familiar, I cried eating tortellini in brodo at the Christmas table. My husband’s zias (aunts) must have had a premonition, because at that moment, my world turned right-side up again. A medicine meal. I think many comfort foods have been misplaced—especially sugar. They are now filed away in the “regular meal” file instead of the “special meal” file, where medicine meals live. Sugar has gone the way of the franken-food, brought to labs and forced into new versions of itself like Ripley’s incubated clones in Alien Resurrection. And now, quite understandably, sugar is seen as a no-no, a demon food, the cause of all our modern ailments such as obesity and diabetes. Poor sugar. No one knows you anymore, do they? And those wonderful comforts of good medicine you can bring—fluffy like cake, creamy like gelato—they all seem to fall silent amongst the noise. As I took my friend back to my home to give her a place to regroup and be fed something better than hospital food, she seemed to be gaining a bit of strength. This is my favorite lavender ice cream recipe, which was created and written by Sharon Shipley. It appears in her book, The Lavender Cookbook, which I believe is one of the best compendiums of lavender recipes out there. I usually use less sugar than the recipe instructs, but each to their own. Her recipe was an adaptation of a recipe given to her by a student, Richard Sweet. It really shows how recipes can be passed from one cook to another, like secret culinary messages in a bottle. In a medium saucepan, whisk together the milk, honey, lavender and ¾ cup of the cream. Add the vanilla bean. Heat, stirring often, until small bubbles start to form around the edge; do not boil. Set aside to cool slightly. In a large bowl, combine the egg yolks and sugar. Beat with an electric mixer for 5 minutes, or until the mixture is a light lemony-yellow and forms a slowly dissolving ribbon when the beater is lifted. Slowly beat in the milk mixture. Pour back into the saucepan. Use a paring knife to scrape the seeds from the vanilla bean and add them to the pan. Cook over medium heat, stirring constantly, until the mixture thickens and reaches 175 degrees Fahrenheit on an instant-read thermometer (don’t go above 180 degrees Fahrenheit or the eggs will curdle). Strain into a medium bowl. Place over a large bowl containing ice cubes and cold water. Stir often until cool. Stir in the vanilla extract and the remaining ¾ cup of cream. Transfer to an ice cream maker and freeze according to the manufacturer’s directions. 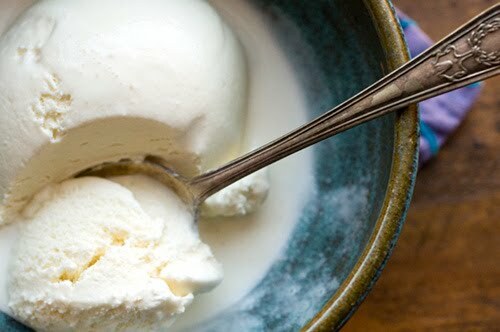 Another great recipe for a non-custard style ice cream is at: Home Sick Texan.